I’ve downloaded the VUWBO App. How do I get started? 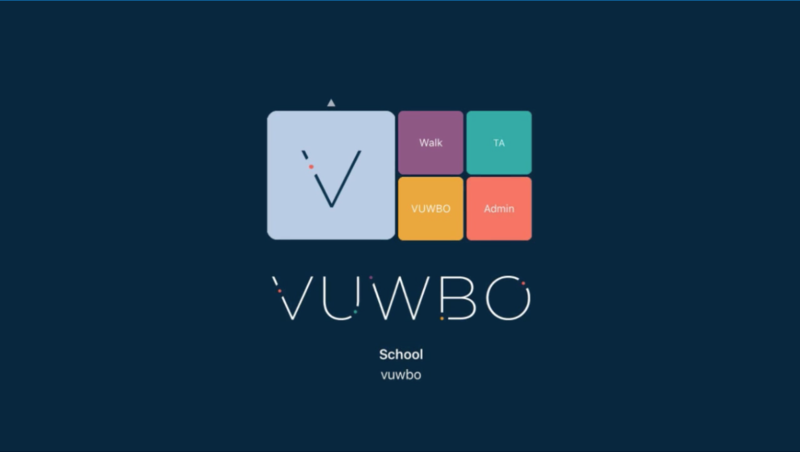 We’d recommend visiting our support page and watching An introduction to VUWBO which provides an overview of all of the App’s features. Next watch Get started: Test observations and try the App for yourself. You can also book a telephone call or online chat in order to find out more. Is VUWBO available for Android? Almost! Version 2.63 allows members to edit the sider position online as well as on the app. This means we will be able to make a web based observation tool available soon. Do I have to evaluate teaching using all five sliders? No. You can disable any sliders you don’t wish to focus on during an observation. Alternatively, you can choose not to move a slider once you have begun an observation. If you leave the slider at the extreme left of the line then the PDF report will record ‘NA’ next to that aspect of practice rather than attribute it a low score. Similarly, when members create reports any sliders that remain unmoved will not be included in data analysis. I want to evaluate a specific aspect of the curriculum. Can VUWBO help? Yes. As a member you can create groups (e.g. subject groups) online and compare them or compare teachers within the groups. You can also write your own subject or curriculum sliders and download them to the App. We are working on foundation subject sliders that can be used across primary and secondary so if you represent a subject organisation and would like to be involved then please get in touch. Geography@VUWBO and History@VUWBO, our primary school curriculum evaluation tools, are being piloted currently. Contact us if you would like to be notified when they are released. Can members change the slider comments? Yes. VUWBO believes observation should be rooted in robust evidence, hence providing these 5 pre-populated sliders. We recognise, however, that schools may want to personalise slider text or focus on their own school observation criteria. Members can therefore create their own content online and download this to the App, setting up a default set of sliders for their school users. Find out more about creating and using your own sliders. I’ve written new slider content. How do I use it on the VUWBO App? You can either change individual sliders before an observation or walk or set a default group of sliders for your organisation. Watch to find out how. Once I’ve uploaded teachers and classes to the website and downloaded them to the app can I add an extra teacher name? Yes. In a lesson observation select Advanced Menu and touch the padlock icon. This will allow you to add free text. In walks the padlock can be found in the top right of your screen. I want to work with staff to prepare them for using VUWBO and explore these strands of pedagogy in more depth. Can I access VUWBO slider content anywhere? Yes. Go to professional learning tools to access all of the slider content along with an introductory power point presentation and ideas for how to launch VUWBO in school.